We simply loved Malaika Arora's athleisure look. Malaika was dressed in a white tank top, which she paired with a pair of grey camouflage pants and wore a grey jacket. Malaika added a pop of colour with bright pink shoes. 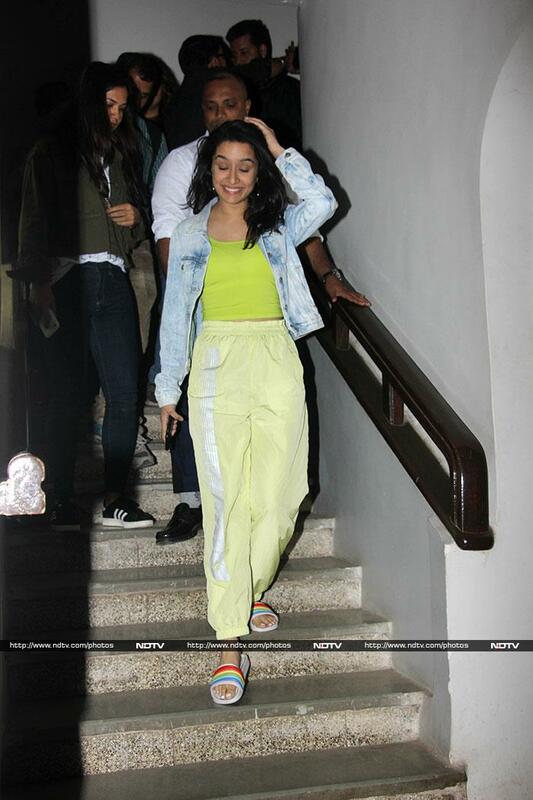 Shraddha Kapoor totally aced the sporty look. TheStree actress, on her day out was dressed in a neon green crop top and matching track pants. She layered her look with a blue denim jacket. Shahid Kapoor and Mira Rajput went for a dinner date on Friday night. Iulia Vantur checked into Soho House on Friday night. Iulia was dressed in a striped dress. Aalia Furniturewalla looked chic in a classic black dress. Shilpa Shetty, Shamita Shetty and Raj Kundra were dressed to perfection on their day out. Raveena Tandon looked sharp in a black shirt and denims. Boman Irani was photographed at a book launch event on Friday.